There is a remote, uninhabited island in the South Pacific called Henderson Island. When researchers visited it in 2015, they found so much plastic—53,000 pieces in just one sample area—that they estimated the island’s total debris at 38 million parts! A veritable garbage dump, that when scientists read the labels, more than a third came from China or Japan and a quarter from South America. Interestingly, some came from as far as away Germany and Scotland. Plastic pollution’s impact is both astounding and so sickening that the reality is: no area in the world is free from its impact. National Geographic reports that the first plastics made from fossil fuels are just over a century old. Widespread use took affect post-World War II when shortages of natural materials fostered a search for synthetic alternatives and resulted in an exponential glut in production. It’s been said that if the Pilgrims left a trail of plastic water bottles and plastic-wrapped snacks, their trash would probably still be around, four centuries later. Once disposed of, they break down into smaller fragments that linger for centuries. Consumer products last on average three years; electrical goods eight years; industrial machinery 20 years; building and construction products thirty-five years. According to The Last Plastic Straw project, 500 million straws are used and thrown away every day in the U.S., which is about 175 billion per year–enough to fill the Yankee Stadium over 9 times in year. Alaska Airlines was the first airline to ditch plastic straws. May 21st of 2018, they put out an announcement banning all single-use plastic straws and citrus picks from all their flights and lounges. Businesses have started to rethink using plastic because of the amount of refuse they are seeing in the oceans and landfills. Truth is, plastic has been infiltrated into groundwater, marine life, the food chain and, just about anyplace you can think of. The targets most immediate to the travel industry are: plastic straws, water bottles, plastic cutlery, mini product bottles such as shampoo and lotions, and single-use bags. Cruise lines like Royal Caribbean’s 50-ship fleet, Cunard and P&O Cruises are jumping on board into more eco-friendly substitutes or none at all. Major hotel brands are instituting changes like what Marriott International is doing by converting patrons to a mini shampoo dispenser that will eliminate 10.4 million mini plastic bottles. Luckily local governments that depend on tourism are also getting involved. From Fort Myers Beach, Florida to the Galapagos Islands and Belize, they have all created bans to help protect their region’s shorelines. In the 60s the plastic industry turned on the steam to outpace the paper straw with plastics, mainly because it was cheap, about a half-cent each. A decade later, it was all you saw. It is a relatively simple process to make paper straws says Aardvark, a Fort Wayne, Indiana, company that had roots in the drink business since 1888. Apparently, large sheets of paper are slit into narrow widths, then wound into the spirals that create long skinny tubes. The company has been ramping up operations since 2007 when it got back into business after the demand for an eco-friendly product from several very large companies such as theme parks, like the Walt Disney Company, and major restaurant chains started looking for alternatives to plastic. But, making a good paper straw isn’t easy and it takes a while to develop a sustainable, green business. There has to be a compostability and biodegradability test in order to get certification from the Food and Drug Administration. Even though plastic drinking straws seem like a very small fraction of total plastic pollution, environmentalists believe that this integral small step will raise overall awareness and inspire the public toward more significant change. Clarke, Jessica Colley. AFAR “The Last Straw: How the Travel Industry Is Phasing Out Plastic"
Hallinan, Bridget. Condé Nast Traveler “All of the Travel Companies and Places Phasing Out Single-Use Plastics"
National Geographic. Planet or Plastic? June, 2018; pages 40-91. Rajala, Eric. Singleplatform: “Restaurants Banning Plastic Drinking Straws are on the Rise Will Yours Be Next?" Christoff, Janeen. Travel Pulse. 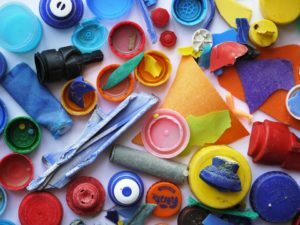 “Travel Industry Makes Strides With More PlastiBans"